A semester-long exploration of the food system for high school students. Food Ed. is a national standards-aligned course that brings STEAM to life by exploring the complexities of our food system. The semester-long interdisciplinary course explores connections between food and culture, food and environment, and food and power. If you are currently teaching Food Ed. or have completed our teacher training program, please log in here for full access to the curriculum and additional teaching resources. Our Food Ed. curriculum has been carefully crafted to offer a full-semester's look at the food system to answer the central question of Why Food Matters. Watch a preview here. 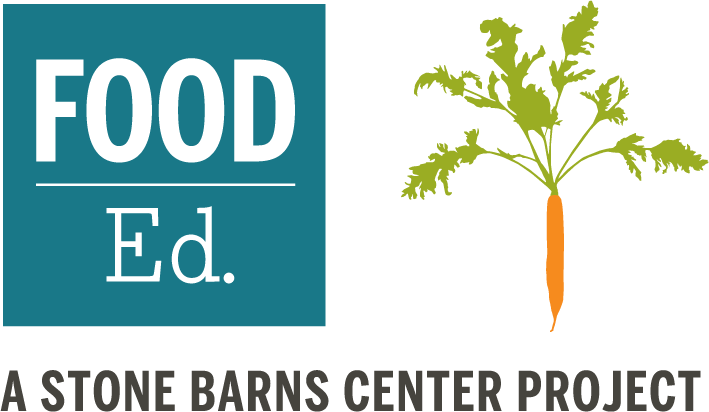 High school teachers join us at Stone Barns Center each summer to be trained on the Food Ed. curriculum and how to bring it back to their communities. Our aim is to reach 1 in 10 high school students in America with Food Ed. in order to create a new generation of engaged food changemakers who are empowered to change how we eat and farm. Read more about Food Ed. "...The academic component sets the curriculum apart." Classes visit the farm and work with apprentice farmers and chefs. Can teaching kids to cook really help them be healthier later in life? Our high school programs are made possible by generous support from Unilever. Guided by its Sustainable Nutrition manifesto, Unilever is committed to food that tastes good, does good, and doesn’t cost the earth.